Support the highest quality research, clinical care, education, and workforce development in the health sciences by deepening and expanding Indiana University’s relationship with IU Health and with the university’s other clinical partners, thus contributing to better state, national, and global health. Indiana University plays an essential role in the provision of health-related services to the people of Indiana and to the nation, through its eight clinical schools—the IU School of Medicine (IUSM), the IU School of Nursing, regional campus Schools of Nursing, the IU School of Dentistry, the IU School of Social Work, the IU Fairbanks School of Public Health, the IU School of Health and Rehabilitation Sciences based in Indianapolis, the IU School of Public Health in Bloomington, and the IU School of Optometry in Bloomington. Among them, the clinical schools educate the overwhelming share of health sciences professionals in Indiana. The reach of these schools is truly statewide; for example, IUSM partners with many local hospitals and medical professionals to make medical education and research available across the state. 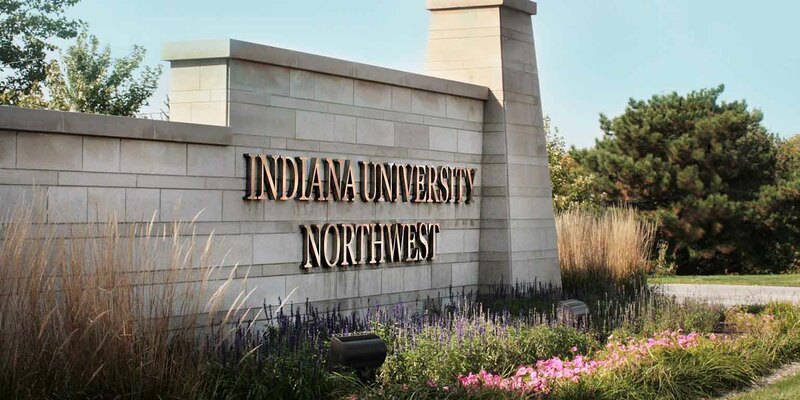 IU also makes a statewide impact through eight medical education centers in Bloomington, Gary, Fort Wayne, Muncie, South Bend, Terre Haute, West Lafayette, and in a splendid new facility to be constructed in Evansville. The School of Medicine, Schools of Nursing, and other clinical programs have extensive, ongoing, and mutually beneficial relationships with health care facilities and providers throughout the state. Other health sciences-related research takes place in the School of Informatics, Computing, and Engineering, the School of Public and Environmental Affairs, the Department of Speech and Hearing Sciences at Bloomington, and in various departments in the natural and social sciences in Bloomington and Indianapolis. 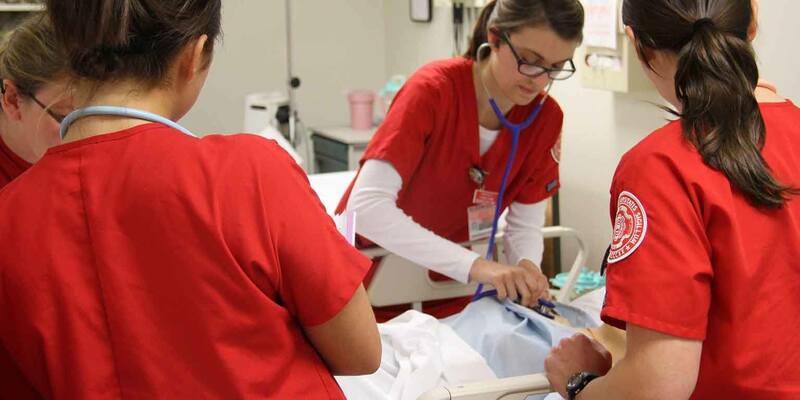 Regional campuses graduate professionals with degrees in nursing, dentistry, radiography, and medical imaging technology, and IU Northwest has established an innovative joint program between the on-campus Medical Education Center and its College of Health and Human Services. IU is also a partner with the Methodist Church of Indiana in Indiana University Health, which was created in 1997 through the merger of IU Hospitals and Methodist Hospital. IU Health is the state’s largest health care system and includes one of the nation’s leading academic health centers. IU Health clinical services are regularly rated among the best in the nation, and seven of its 18 hospitals have achieved Magnet status for nursing, the highest designation awarded for quality patient care and nursing excellence. IUSM and IU Health are inextricably linked together. They share a common three-part mission of excellence and innovation in clinical care, research, and education. They share a common commitment to improving the health of Indiana communities while also providing world-class care for patients with complex illnesses. IU Health invests in research at the School of Medicine, which will be translated into new and improved treatments, procedures, and cures that can be offered at IU Health hospitals and medical facilities, and beyond. The revenues generated by the provision of such advanced services and state-of-the-art therapies can in turn be invested in further research. IUSM and IU Health also partner to support the education and training of future generations of physicians and other care providers, many of whom remain in Indiana to practice. The benefits of the full potential of this partnership are immense: key research priorities at the IUSM have a greater chance of obtaining funding, especially those that involve direct benefit to patients, while Hoosiers have access to an outstanding system of health facilities and personnel. The funding of health care in the United States has just experienced a major shift with the passage of the Affordable Care Act. While the provision of health care services will continue to be a significant part of the economy as a whole, the laudable policy goal of maintaining control over the growth in health care expenditures also means that IU and IU Health’s academic health center model will face a changing environment for the generation of revenues to support medical education and research. Growing pressure from public and private payers means that IU Health must reduce its expenses by $1 billion in future years, a process it has already started. In addition, there has not been an increase in the essential medical residency positions funded through Medicare for 15 years, and the budget of the major national source of funding for medical research, the National Institutes of Health (NIH), has decreased in real terms in recent years. These problems are compounded by the fact that the two IU Health hospitals that are core to adult care in the academic health center model, University Hospital and Methodist Hospital, are aging, have excess capacity, and contain numerous redundancies given their close proximity. Because of this, IU Health and IUSM are evaluating options for consolidating the two existing hospitals or building a new replacement facility. It is therefore vital for IU to prioritize the areas in which it supports research. Hence, IUSM will focus its efforts on research in specific areas of cancer, cardiovascular disease, and neuroscience. This prioritization will involve the use of “cluster hires,” in concert with other schools and units across IU, and with other health-research institutions, to build deep strengths that will serve to attract more funding and research talent in the future. IUSM will seek to attract increased funding from agencies such as the NIH, Department of Defense, Patient Centered Outcomes Research Institute (PICORI), and other sources. In addition, IUSM will build on major new facilities that have been built to support research in these areas over recent years, such as the Simon Cancer Center, the new Neurosciences Complex, and the expansion of Walther Hall. Rates of certain types of cancer, cardiovascular disease, and neurological disorders are generally linked to pervasive public health problems such as smoking, air pollution, obesity and poor nutrition, lack of exercise, and inadequate mental health counseling. Indiana as a state continues to rank very low on most measures of public health, usually being in the bottom 25th percentile over the last decade. In fact, the state’s performance on some health measures is actually worsening. 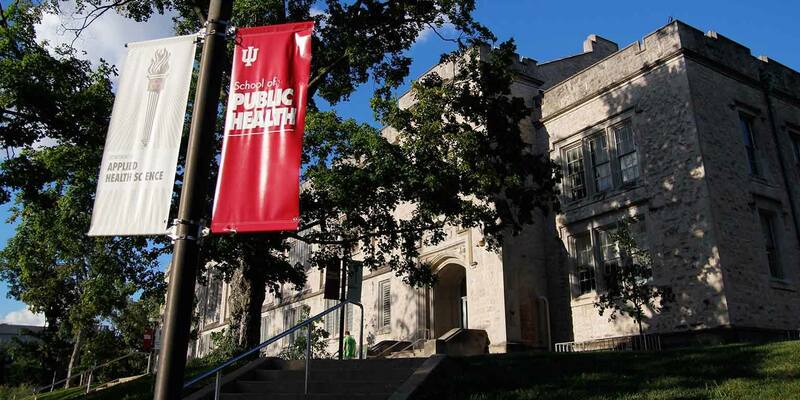 Indiana University has responded to these public health problems by establishing two new schools of public health in Bloomington and Indianapolis. They are focused on educating public health professionals and on carrying out vital research into cost-effective policies and services for improving the public health status and well-being for the people of Indiana and around the globe. They are the only two schools of public health in Indiana. More recently, the establishment of the Office of the Vice President for University Clinical Affairs (OVPUCA) has enabled the coordination of all of the public health-related efforts of all eight clinical schools. The schools, through OVPUCA, are exploring ways to work more closely with the relevant state agencies to try to bring the resources and expertise of the IU clinical schools more effectively to bear on the state’s grave public health problems. OVPUCA is also leading efforts among the schools in developing new interprofessional education programs in order to produce broadly trained and flexible graduates with the skills needed to work in the new world of health care. IUSM, and where relevant the other IU clinical schools, will continue to build research capacity in selected areas, with special focus on research in population health management, cancer, cardiovascular disease, the neurosciences, and pediatrics through the Riley Children’s Hospital and Foundation, in order to achieve preeminence in these areas, and to generate increased external research funding from the NIH, DOD, Patient-Centered Outcomes Research Institute (PICORI), and other external sources. IUSM will work with the clinical schools, other academic units across the university, and IU Health to recruit, mentor, and retain researchers, educators, and clinicians in these key areas, using cluster hires (see Bicentennial Priority Three) and other innovative mechanisms such as joint appointments between schools. IU will invest in the infrastructure to foster collaboration in research and educational programs among the clinical schools and other academic units, in order to increase opportunities for students and researchers, leveraging the Indiana Clinical and Translational Sciences Institute (CTSI) wherever possible. IU will coordinate multiple schools, departments, campuses, medical centers, and faculty to develop new interprofessional degrees and special qualifications in the health sciences to better prepare professionals for future team-based and population-focused models of health care delivery. IU will facilitate public-private and other interinstitutional partnerships to accelerate the translation of discoveries into practice. IU will work with its clinical partners to increase integration and alignment of services, and with IU Health to address the obsolescence and over-capacity problems at University Hospital and Methodist Hospital. Every IU campus has important and productive relationships with many community and government partners in health care and public health across Indiana. IU will work closely with these and new partners to ensure that its undergraduate and graduate professional training programs in all of its clinical schools and on all campuses fully meet the health needs of the state. This includes leading a statewide expansion of primary care residencies and other clinical education settings.